Russia has responded angrily to Western air strikes on Damascus in response to a suspected poison gas attack last week. Overnight, U.S., British and French forces launched more than 100 missiles from ships and manned aircraft, targeting three of Syria's main chemical weapons facilities. The strikes were a response to a suspected chemical weapons attack on the Syrian town of Douma last weekend which killed dozens of civilians. Syria and its ally Russia have denied such an attack took place, and Moscow has accused Britain of helping to stage the Douma incident to stoke anti-Russian hysteria. Russia's Defense Ministry was quoted as saying by Russian news agencies that Syria intercepted the U.S. and allied attacks using Soviet-produced hardware, including the Buk missile system. Colonel-General Sergei Rudskoi on Saturday said Russia may consider supplying S-300 missile systems to Syria. In Russia, an ally of Syrian President Bashar al-Assad, the strikes have been portrayed as a violation of international law and undermining Syria's chances of peace. "First the 'Arab spring' tested the Syrian people, then Islamic State, now smart American rockets. 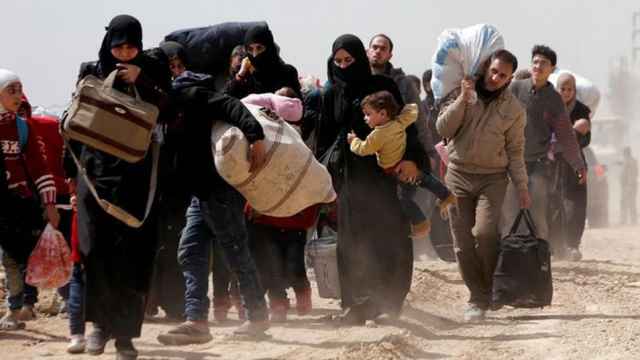 The capital of a sovereign government, trying for years to survive under terrorist aggression, has been attacked," Foreign Ministry spokeswoman Maria Zakharova wrote on Facebook. "You have to be quite abnormal to attack Syria’s capital just at the moment when it had a chance for a peaceful future." 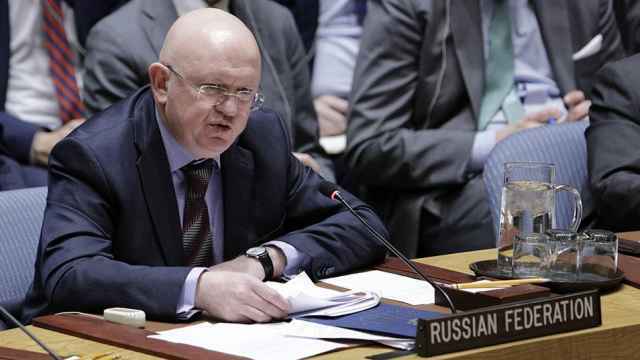 The chairman of the international affairs committee of Russia's upper house of parliament, Konstantin Kosachev, said the strikes were a violation of international law and probably designed to prevent investigators from the global chemical weapons watchdog from doing their work. 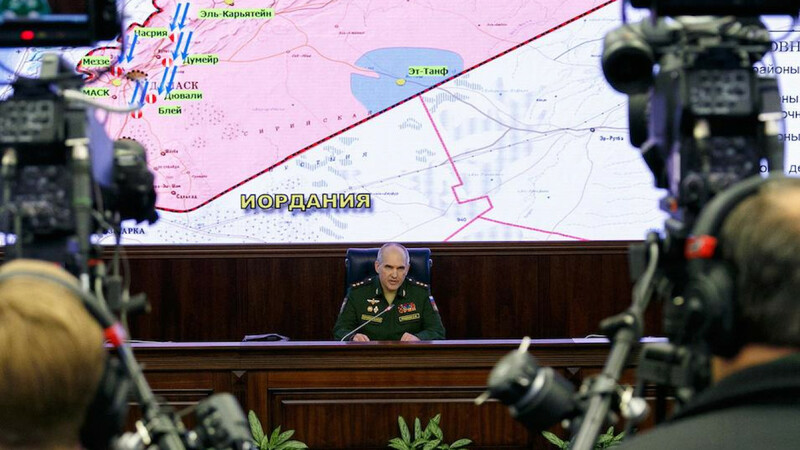 "It's also highly likely an attempt to create complications for the Organization for the Prohibition of Chemical Weapons mission which was just starting its work in Syria's Douma, or an attempt to completely derail it," Kosachev was quoted as saying by the Interfax news agency. 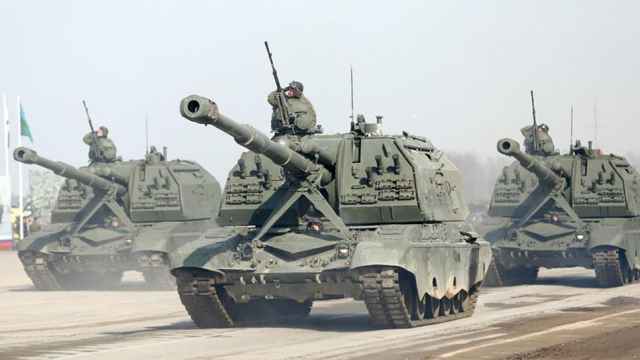 None of the air strikes hit zones where Russian air defense systems protect the Russian bases of Tartus and Hmeimim, Russian news agencies cited the Defense Ministry as saying. 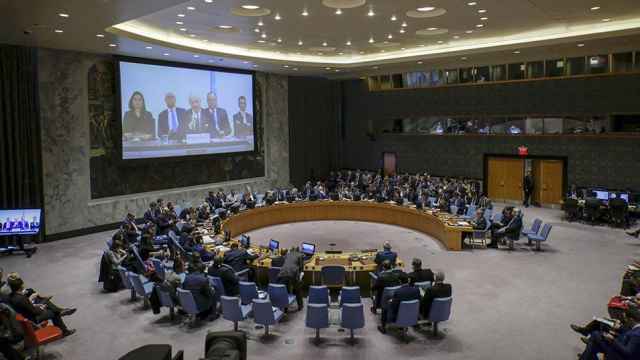 Russian lawmaker Vladimir Dzhabarov said on Saturday that Russia was likely to call for a meeting of the United Nations Security Council. "The situation is being analyzed right now. Russia will demand a meeting of the UN Security Council, I think, for sure," Dzhabarov, who is the deputy head of Russia's foreign affairs committee, was quoted by RIA as saying. The OPCW did not immediately respond to a request for comment on whether the work would go ahead.